Van Owners -Unfortunately 2 vehicles have been entered and tools stolen from them on the 09/04/19 Dixon Drive Chelford and 15/04/19 Whitebarn Road Nether Alderley. In an effort to ensure these are isolated occurrences we would like to take this opportunity to ask you to take precautions to prevent further thefts from vehicles in the area and keep your vehicle locked at all times. 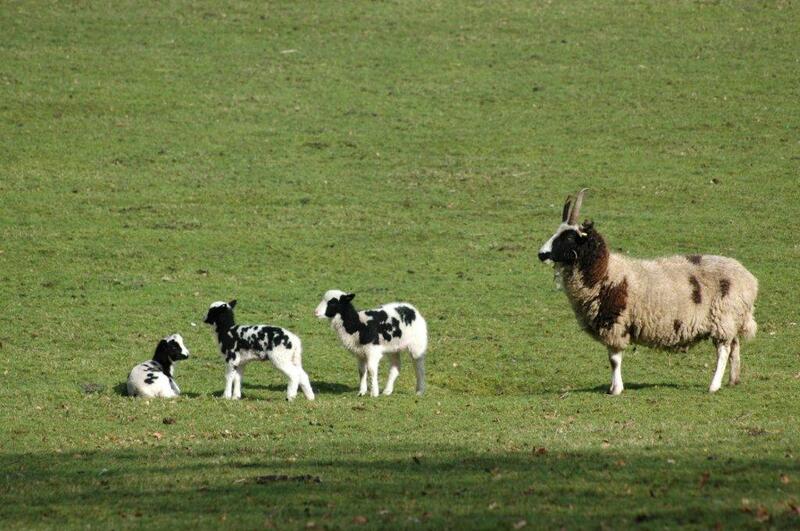 Sadly there has been a report of Sheep worrying in Woodhouse Lane, Gawsworth on the 14th April. The Sheep has later died. Chasing by dogs can do serious damage to sheep, even if the dog doesn’t catch them. The stress of worrying by dogs can cause sheep to die and pregnant ewes to miscarry their lambs. Sheep fleeing from dogs are often killed or seriously injured by their panicked attempts to escape, causing untold damage to fences and field boundaries in the process. It is an offence to allow a dog to worry sheep. It is vital that you keep your dog on the lead around livestock. I am writing to you all to explain the recent increase in our Precept. I have been on the Parish Council since 2011 and I believe it is the first time since then that we have had to consider a significant increase. At our meeting on Monday, 7th January 2019, all members of the Parish Council agreed to an increase to meet its current obligations as well as the long overdue refurbishment of the Parish Hall. The Parish Council owns the hall and has a duty to maintain it to a standard “fit for the purpose” for the benefit of all the community. When we produced our Parish Plan in 2014 and asked for views from residents about the hall, the majority opinion was for our existing historic hall to be refurbished. Since then Councillors have been working hard behind the scenes, alongside architects and listed buildings experts to draw up plans for not only the refurbishment of the hall but to be able to provide a storage area by means of a small extension for equipment which at present we cannot provide. We are very close to having detailed plans available for all to view. We have also just completed a Business Plan which includes future marketing for the hall. As soon as the hall has been updated and is once again ‘fit for purpose’, it is envisaged that it will be self-funding and the hub of the community. As you may be aware, we were successful in securing some S106 money from the development at Alderley Park which will go a long way towards the refurbishment and gave us our initial platform to proceed with the repairs needed. 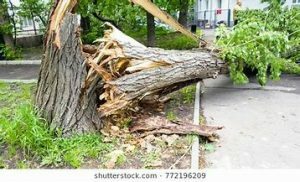 However, as a result of the findings and recommendations of the following surveys: Condition Survey, Timber Survey, Mechanical and Electrical Survey, Measurement Survey and a Bat Survey, there is a shortfall. The works are extensive and include all remedial works necessary, along with new toilets, improved disabled access (at the moment there are several levels within the interior of the hall), new heating lighting etc. and as mentioned earlier, a small extension to the rear of the hall. After much deliberation, the Parish Council approved that the shortfall should be spread over a two year period (2019/20 and 2020/21) to mitigate these costs, after which the Precept will be reduced in line with day to day commitments. I can assure you that the decision was not taken lightly but with much due consideration. Therefore, the Parish Council’s Precept has been increased accordingly and for 2019-2020 will be £46,000.00 which equates to £90.08 for a Band D property. Whilst I appreciate that this is a significant rise for the next 2 years, we are minded that the hall is very much a community asset and myself and fellow Councillors believe that this is a fair way to raise the necessary monies which spreads the cost between all residents. I very much hope that you understand our reasoning. The Parish Council will hold an open event for all residents to come along to as soon as we have all our plans formalised. At which point we will be able to share our vision with all the residents and parishioners. In the meantime, please do not hesitate to contact me if you would like to discuss this further. 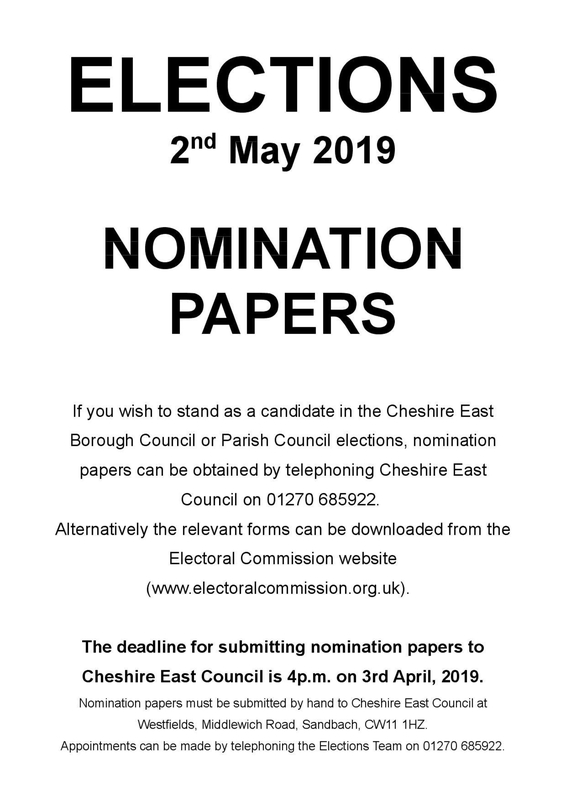 An election for all Cheshire East Borough seats (if contested) will be held on Thursday 2 May 2019. Elections will be held for all Parish and Town council seats (if contested) on Thursday 2 May 2019. Elections are contested if the number of nominations received for a particular area exceeds the number of seats within it. The hours of poll are 7am to 10pm. Poll Cards will be delivered to all registered voters in the area around 26 March 2019. 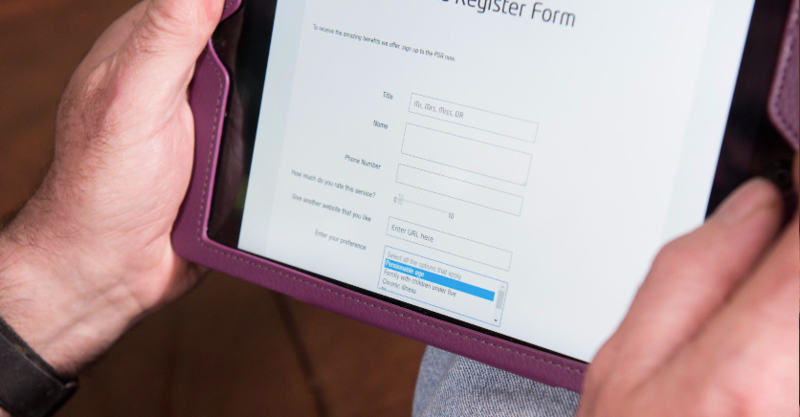 Electoral Registration application deadline is on Friday 12 April 2019. Postal Vote application deadline is 5pm on Monday 15 April 2019. Proxy Vote application deadline is 5pm on Wednesday 24 April 2019. People are being asked to give their views on how Cheshire Constabulary can make better use of technology to continue to provide the best possible service to the public. The Constabulary has launched an online Public Contact Survey to find out how the Cheshire public use technology and how people want to engage with police in an ever-changing digital world. The survey should take no longer than five-minutes to complete and asks questions around how you like to keep in contact with people in general and how you would like to be able to contact police in a non-emergency. The Constabulary’s options for contacting police in a non-emergency are currently by dialling 101 (the police non-emergency number), visiting an enquiry desk at a local police station, speaking to an officer in person at a local police surgery or contacting a named officer via the Cheshire Police website. Acting Assistant Chief Constable Ngaire Waine said: “We are all now living in a world where we are rapidly becoming more and more reliant on technology and having to adapt to the many daily tasks we do. As we let more technology into our lives, it is changing the way we keep in touch with each other and the way we access our goods and services. “With this in mind, we’re keen to hear from as many Cheshire residents as possible to find out how they are now using new technology and whether they would like us to make it more available for accessing police services. “The information will be used to help shape and improve how our residents can access police services in non-emergencies situations in the future, and how we can improve our contact with them. The Public Contact Survey can be accessed online via the link below or by visiting the Cheshire Constabulary website. The deadline for completing the survey is Wednesday, 20 March 2019. We’ve seen an increase in the number of keyless car and van thefts. If your vehicle has keyless entry, check to see if the fob can be turned off. 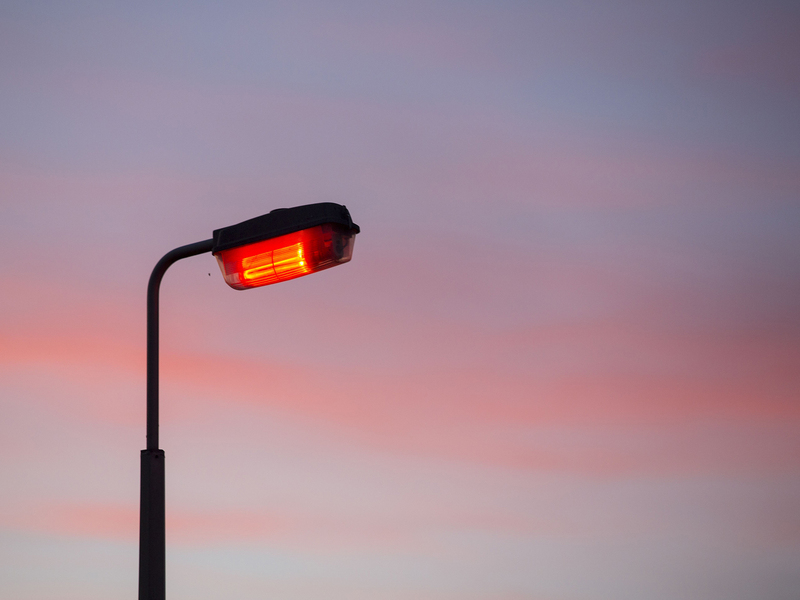 If it can, then do so overnight – don’t make it easy for thieves! In response to the recent rise in car and van thefts in the area we’re asking those who own a car or van with keyless entry to please review your security – consider additional security devices such as mechanical locks and trackers. Did you know that keyless entry cars need software updates? Keep yours secure – ask your car dealer or manufacturer what updates you can take advantage of. If you have a keyless entry car or van, think about how you store your key at home. Keeping your fob out of sight is not enough – thieves only need to get near to the key to amplify the signal. Keep both sets of keys in a container or pouch which blocks the signal from the fob. We are warning owners of cars with keyless entry systems to be vigilant after a rise in the number of thefts of these vehicles in the Macclesfield area. Keep an eye out for suspicious activity and report anything unusual to the police on 101. The February 2019 edition of Our News is out now. All this and more in the latest edition of Our News. “We are doing all we can to tackle the issue but we need the continued support of motorists to help drive down this type of crime. • Contact your dealer for further information and guidance regarding the digital features in your vehicle – Have there been any software updates you can take advantage of? • Check if your keyless entry fob can be turned off. If it can, and your dealer can also confirm this, then do so overnight. • Think about how you store your key at home. Keeping your keyless entry fob out of sight is not enough – thieves only need to get near to the key to amplify the signal. Drivers are urged to keep both sets of keys in a container or pouch which blocks the signal from the fob. • Review your vehicle security – consider additional security devices such as mechanical locks and trackers. • Be vigilant. Keep an eye out for suspicious activity in your neighbourhood – and report anything unusual to the police. This could be something or nothing but its always best to be aware so …. Please report any incident to 101, I know its not the Mo Farrah of the tele communications world but if this wasn’t reported via 101 I wouldn’t be enlightening you right now, please take the time and lets improve the effective flow of communication and help keep your farms and homes safer. We have recieved reports of a theft of sheep from Snelson Lane Marthall. Three Texel sheep were taken between 23/01/2019 and 25/01/2019. We have also received reports that this has also happened in Derbyshire. We have noticed an increased spike in Stone Thefts/ Coping Stones from rural locations this year, in and around the Macclesfield area. A flat bed Ford transit is of notable interest and we would like to speak to the occupants. The flat bed transit is described as Red Cab/ Blue rear flat bed with high sides/ White hailer to roof/ 4 digit to end of number plate. Please call 101 with any such information concerning this vehicle. Good afternoon. Please can I make you aware of the following theft. Theft of Ranger Rover from a farm in Ashley, Please be aware and try and lock all vehicles away. The link is very easy to use, acknowledges your complaint and provides a reference number should you wish to track its status. Pedley House Lane area of Great Warford, whereby a large quantity of stock has been taken. Please be aware and utalise all your security devices. Happy New Year, from everyone at Tatton Park! Looking to start your year on the right foot? 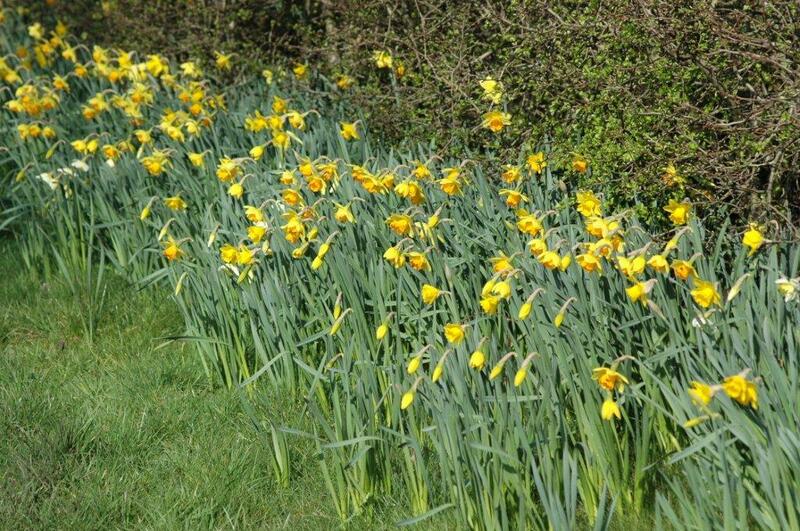 We’ve got 1000 acres of Parkland, 50 acres of Gardens and a recently renovated Farm to explore. Take in the scenery and get those steps in on our Field to Fork trail in the Parkland and wind down along the peaceful paths through the Pinetum in the Gardens (home to over 150 specimens of trees from around the world). Find out where your food comes from at the Farm, explore the historic three- storey Mill and meet Aunt Mary making butter in the Caretakers Cottage! • Little Red Hen makes a Pizza, 25 Jan – Join us on the Farm for our interactive session, which teaches children the origin of ingredients for pizza from Field to Fork. 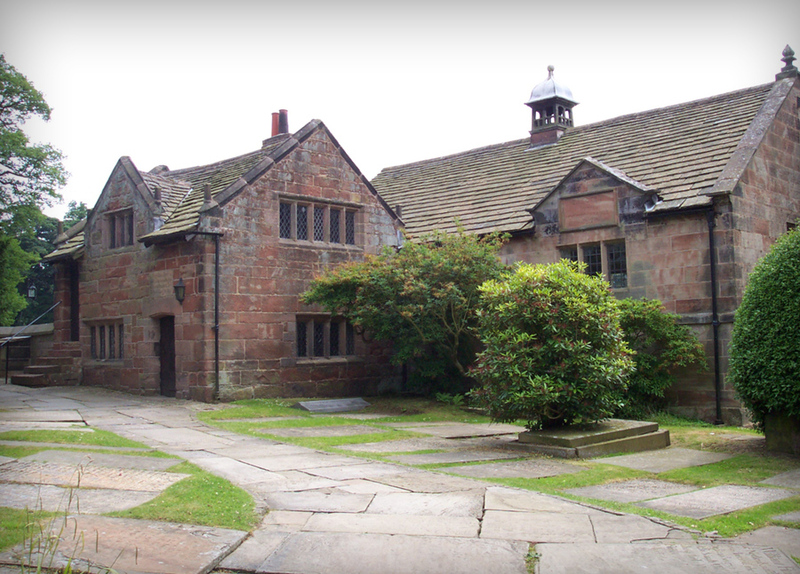 • Creative Writing ‘Short Days, Early Dark’, 12 Feb – A special opportunity to gain creative writing inspiration and guidance from successful playwright and former Cheshire poet laureate, Joy Winkler. • Deer Feed and Trailer Rides, 19 & 20 Feb – Take a trailer ride with Tatton Park’s Rangers to watch the daily deer feed! • Happy Kids Yoga (pre-school), multiple dates – A fantastic introduction to yoga for little ones, in Tatton Park’s Gardens. • Lambing Week at the Farm, 6 – 14 April – Will you be lucky enough to see our lambs being born? • Dogfest, 15-16 June – A new event for Tatton Park, the ultimate summer festival for Dogs! • RHS Flower Show Tatton Park, 17 – 21 July – the gardening highlight of the year. Welsh Row, Chelford Ward, Alderley Edge, Unknown outside Hartford. The closure is necessary to enable United Utilities to carry out Disconnection of lead supply and replacement with new service connection. It is anticipated that the works will take place on the following date(s): Thursday 31st January 2019 to Monday 4th February 2019. This notice will become operative on Thursday 31st January 2019 for a period of 5 days or for such less time as is necessary to enable the works to be completed. If you have any enquiries relating to the works please contact Gallaghers on telephone number 0845 5000 123. As the airport continues to grow and offer more routes and destinations, we are investing heavily in improving the site to cope with the increased demand and to improve your experience when using the airport. The next phase will see us create 270 new spaces in our Terminal One arrivals car park by adding in two new levels, with additional entrances and exits. To facilitate this, the Terminal One arrivals car park will close from the 26th November at 01:00 and will reopen in April 2019. During this period the arrivals car park for picking up passengers will move to the other side of the Skylink with the entrance located on Terminal Road North. Customers can also use the multi storey for picking up passengers. For customers picking up on the 26th November between 01:00 and 04:00, please use the Terminal 1 multi storey. See map below -staff will be on hand to help direct and advise passengers. We get more than our fair share of power cuts in Nether Alderley. Did you know about Electricity North West’s Priority Services Register for vulnerable customers? It can offer extra support to keep you safe and comfortable until the power is back on. Nether Alderley Parish Council is looking to co-opt a Parish Councillor to fill a vacancy on the Parish Council. Any person interested in serving as a Parish Councillor should contact the Clerk for further information and to request an application form. Details of eligibility can be found on the Electoral Commission website or by contacting the Clerk. Saturday 16th February 2019 from 11.00 a.m. to 1.00 p.m. Some of the volunteers will be going on to the Wizard pub for lunch afterwards and new volunteers are very welcome. Please wear suitable clothing. Rubbish bags will be available and litter picking tools. 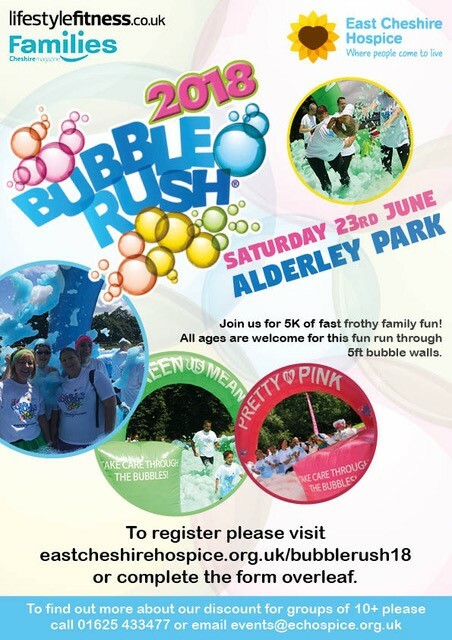 Please phone Anne Bale on 01625 582514 for further information. COMMUNITY SPEED WATCH NOW RECRUITING! 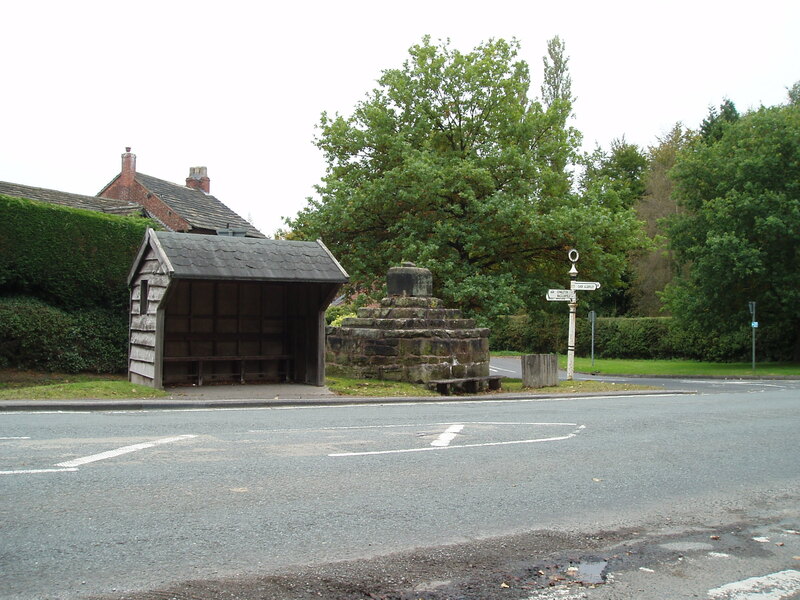 If you feel strongly about dangerous speeding throughout Nether Alderley, why not sign up as a Speed Watch Volunteer? 23. October, 2018Latest NewsComments Off on COMMUNITY SPEED WATCH NOW RECRUITING! 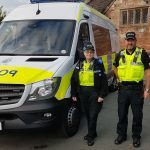 PCSO Julie Short (Rural Crime Team) and PC Garry Charnock (Rural Crime and Wildlife Oﬃcer) have recently taken over Chelford Ward – which includes Nether Alderley parish. 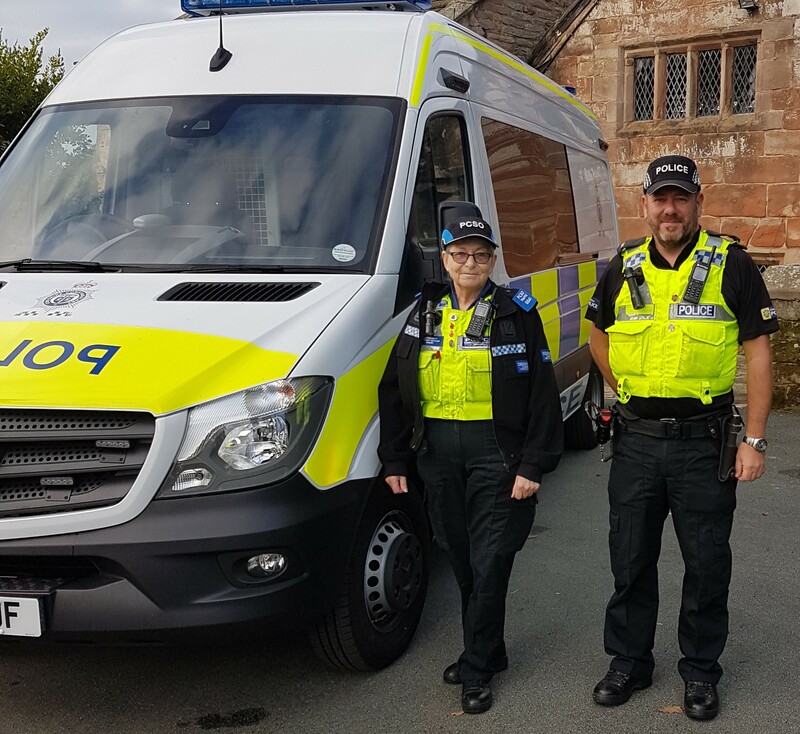 They were delighted to be in attendance at the heart of Nether Alderley – the Parish Hall, on October 20th, and excited to demonstrate their new Mobile Police Surgery to the community. This is the ﬁrst of many planned surgeries, so watch out for further updates. 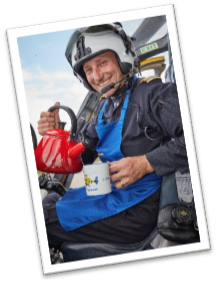 The North West Air Ambulance Charity is very excited to launch its first integrated fundraising and engagement campaign, Brew with the Crew, during Air Ambulance Week. Built on the northern obsession with drinking large amounts of tea, planning Brew with the Crew brought together teams from throughout the charity. It aims to be an easy activity for people to build into their day, drinking tea with their own crew and raising money for the charity’s lifesaving work. The campaign launches throughout Air Ambulance Week, 10 – 16 September, at North West Air Ambulance Charity (NWAA) shops and other locations in the region. People are asked to hold their own Brew with the Crew the week of 15 – 21 October or throughout the year. 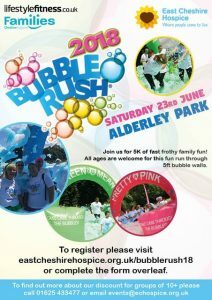 We would love you to join us in having a Brew and raising funds for this fantastic cause. To get your free Brew with the Crew pack, go to www.nwaa.net/bwtc or ring 0800 587 4570. The North West Air Ambulance Charity’s helicopters fly 365 days a year, with the doctors and paramedics on board providing rapid treatment and hospital transfers to patients across the entire North West region each year – an area covering 5,500 square miles and 8 million people. Since it launched in 1999, the charity has flown more than 20,000 missions across the region, with the ambulance called out an average of five times a day, rising to ten in summer. Just as many critically injured patients would not survive without the service that the charity provides, the North West Air Ambulance would not be here without the support of its community of fundraisers and partners. The charity is completely reliant on public and corporate donations to keep the North West’s Air Ambulance Charity helicopters operational and helping to save lives, needing to raise over £8 million a year to support its lifesaving service. 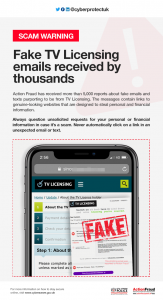 We’ve seen a sharp increase in reports about fake TV Licensing emails claiming to offer refunds. The emails state that the refund cannot be processed due to “invalid account details”. The links provided in the emails lead to phishing websites designed to steal personal and financial details. We’ve seen an increase in reports about fake Netflix emails claiming that there’s an issue with your account, or that your account has been suspended. The email states that you need to “update” your account details in order to resolve the problem. The link in the emails leads to genuine-looking Netflix phishing websites designed to steal your username and password, as well as payment details. Most of us will at some time visited a rural historic church, similar to St. Mary’s and noticed in some cases that the burial ground is uncared for. 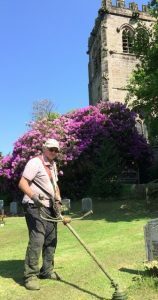 Here in Nether Alderley we are extremely lucky to see that our church, church yard and burial ground are kept in pristine condition. In the burial ground this is mainly due to the hard work put in by Norman Moore, Nether Alderley Parish Council’s groundsman. Many of you will have seen Norman working in the burial ground without really knowing much about him. In April 2018, Norman completed 40th year maintaining the burial ground. Norman, aged 73, has lived in Nether Alderley for 57 years and has served the Parish in many ways, including being Parish Hall caretaker for 35 years and caretaker of Nether Alderley Primary School for 5 years in the 1970s. This was in addition to his work for local farmers. 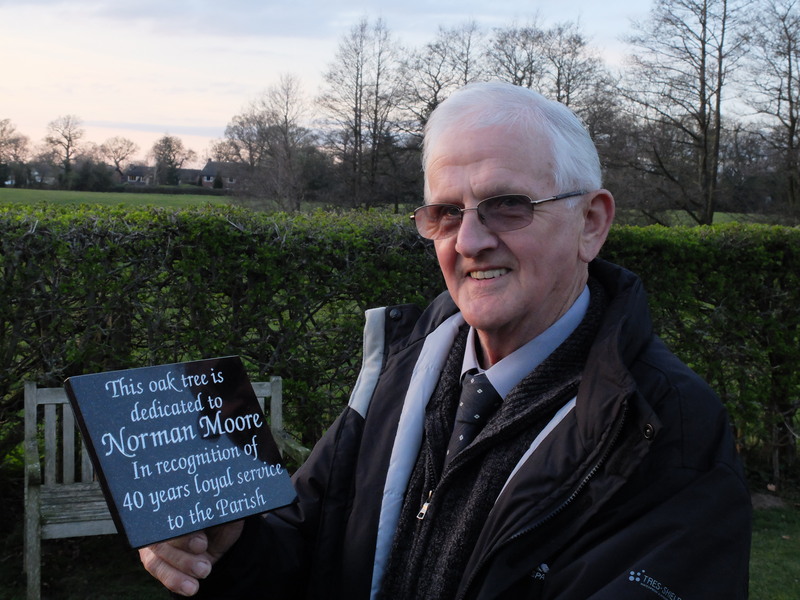 Every Parish would benefit by having a ‘Norman’ and Nether Alderley is very lucky indeed that he is ours. Thank you Norman. Fraudsters are contacting overseas students and visitors who are in the UK via their mobile phone or social network account and purporting to represent UK or foreign law enforcement. • Police will never ask you to withdraw to transfer money so “it can be checked”, neither would they demand money to in order to cancel an arrest. • Do not be tricked into giving a fraudster access to your personal or financial details no matter who they say they are; protect your information and have the confidence to question and refuse unusual requests. • If you have made a payment to someone claiming to be the police or government department, and you think you might be a victim of fraud, you can report it to Action Fraud any time of the day or night using our online fraud reporting tool. You can also get advice about fraud or cyber-crime by calling 0300 123 2040. • If you are a student you can ask your Student Union or University for advice, help and support. Neighbourhood Watch and our sponsor Co-op Insurance has just launched a nationwide search to find and celebrate some of the best and most considerate neighbours of 2018! We’re urging people to nominate the most deserving good neighbours and there is also an opportunity to put forward your ‘Hero Next Door’ for a true act of heroism. You can also share the link to the nominations page by cutting and pasting it from below. So nominate your good neighbours today! To read more about the awards on our website click here. 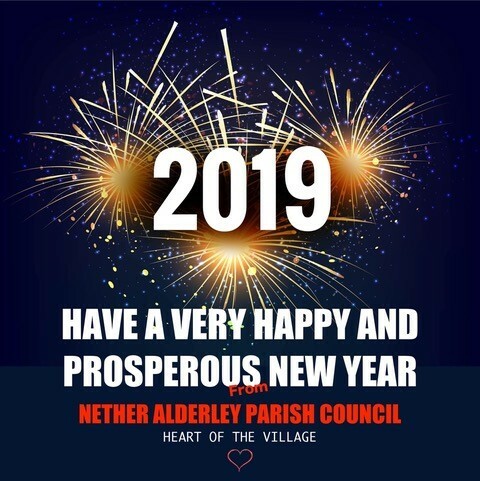 There is a vacancy for a Councillor in the Parish of Nether Alderley. An election to fill the vacancy will be held if ten electors for the said Electoral area give notice to the Returning Officer requesting such an election within 14 days (excluding Saturdays, Sundays, Christmas Eve, Christmas Day, Good Friday or a Bank Holiday) of the date of this notice. If no such notice is given, the Parish Council will fill the vacancies by co-option. Welcome to the latest edition of the stakeholder bulletin with news, information and updates from Cheshire Constabulary on behalf of the Chief Constable and the Police & Crime Commissioner. You are receiving this newsletter as a valued stakeholder. In recent weeks we have experienced high periods of demand on the 101 service which means that people have been waiting longer than normal during peak times. This is a national issue that many other forces are also experiencing but we are pleased to report that the picture has improved in Cheshire. There were a number of reasons behind the increase in demand including the unexpected and prolonged hot weather, repeat calls and the public’s understanding about when to ring 101. A lot of the demand is being driven by the public requesting information or asking for help with issues that the police do not actually deal with such as noise nuisance, dog fouling and fly tipping and these can be addressed by other agencies – including local authorities and housing associations. It is important for people to know that when they do need to speak to the police about a non-emergency issue there are better ways of getting in touch without having to pick up the phone. 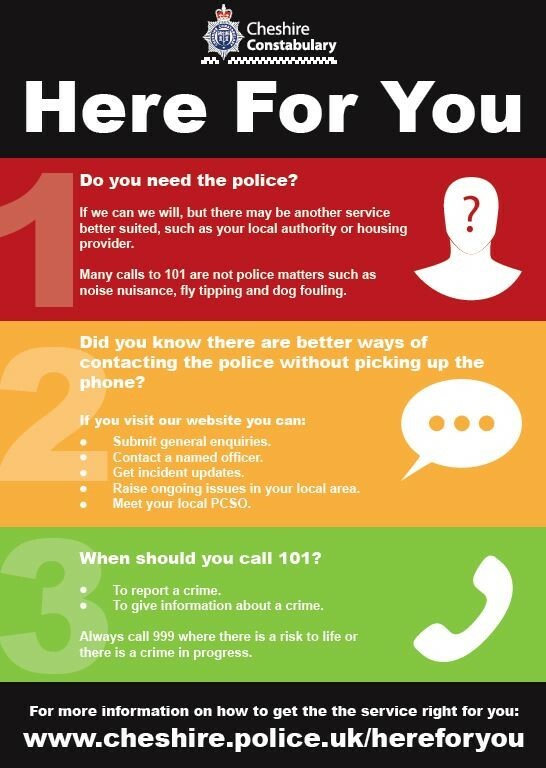 Although the situation has improved we would like to take the opportunity to highlight the range of options that are available which may provide a quicker and more efficient service than calling 101. Face-to-Face – Visit your local police station/helpdesk or speak to your local Police Community Support Officer. Cheshire has a dedicated PCSO in every ward across the county. They are a vital part of policing and an important connection between the force and local communities providing a familiar face as a point of contact. Details of surgeries are available via the Cheshire Police website. Other Agencies – Your local authority or housing association deals with issues including noise nuisance, dog fouling and fly tipping. We are making a concerted effort to educate the public to ensure they know that many of their issues can be dealt with more effectively in other ways and it is not always necessary to pick up the phone and call 101. In some cases 101 will be the best option and we will continue to inform people of when it is appropriate to use 101 to give the public a more efficient service and to allow us to deal effectively with crime. The 101 number should be used to report a crime that has already taken place or to pass on information about a crime. The public should always call 999 where there is a threat to life or a crime is in progress. Your support is always appreciated and we would encourage you to spread the word about this important issue via your networks. We’ve received multiple reports about these fake LinkedIn emails. They claim that your LinkedIn profile has appeared in multiple searches and provide links you can click on to get more details. These links lead to malicious websites designed to steal your personal and financial details. On 21/7/18 a farm on Hollin Lane, Sutton has reported that a lock on one of the gates was found with glue inside. Please get in touch if you have any information or have experienced any suspicious activity. Please be aware that a burglary has occurred within the Mobberley area (27/06) whereby a number of generators were stolen alongside a quantity of tools. Please be aware that there has been a recent report of a theft of a three moth old calf from a farm in Mobberley. Please be vigilant and report anything that you deem to be suspicious. • Offenders cold call posing a Police Officer, usually a detective from a Police Station in London. Several characters may be involved to convince the victim they are genuine. • They convince the victim that there is a corrupt official/ counterfeit currency at their bank and ask them to assist with a “sting” operation. • They provide a cover story and an amount of cash to be withdrawn. • They send a taxi to take the victim to the bank and back. • They stay on the phone and tell the victim how to answer questions from the bank. • They tell the victim how to package the money. • They then attend the victim’s home address, or send a courier, to recover the cash. In some cases victims have been asked to travel elsewhere in the country to hand over cash. • The Police will never ask people to withdraw money from their bank account. • The police will never ask members of the public to assist them with operations. • Hang up and wait five minutes before calling the police/ bank on a trusted number. Fraudsters may stay on the line after you hang up. A different line should be used if possible. • Report the matter immediately to the police on 101, or 999 is you think you have met the Fraudster. We have had reports that people are experiencing receiving recorded messages saying that it is BT calling and that if they do not press a button the computer will be cut off. This is then followed by the same message a couple of days later. The main link to each is that they have asked the victim to go to the bank and withdraw the money themselves and they would send someone round to collect. Unfortunately one victim did hand money over. If you get a call like this DO NOT to withdraw cash for collection- contact the Police 101 or their bank to report the calls. Detectives are urging residents in Cheshire to be vigilant after an elderly woman was scammed out of a large quantity of money. The pensioner from Adlington received a phone call from someone purporting to be from her bank. The person read out her account details and balance and then told her she needed to withdraw her money and gave her a number to ring the force squad. During the conversation he said that her bank had been compromised and not to say anything. The woman was coerced into withdrawing a large quantity of cash from her bank and instructed to hand it over to a courier for safekeeping. Two further elderly residents from Macclesfield and Wilmslow also received two different calls. One call was from a man purporting to be a police officer and the other call was from someone stating the victim had won money from the health lottery. Both were asked to withdraw their money but didn’t fall victim to the scam. Sergeant Keith Graham, of Macclesfield LPU, said: “We are investigating a number of incidents whereby elderly victims are being contacted by criminals involved in fraudulent acts. “Victims are being coerced into believing a number of reasons for why they should withdraw their money. I want to make it clear that no one should withdraw any money from their account if they are asked to do so over the phone. • If you are approached, or feel something is suspicious, hang up the phone and do not reply and then report it to police on 101, Action Fraud and your bank on their advertised number. A local teacher has been honoured at the Cheshire Teaching Awards. 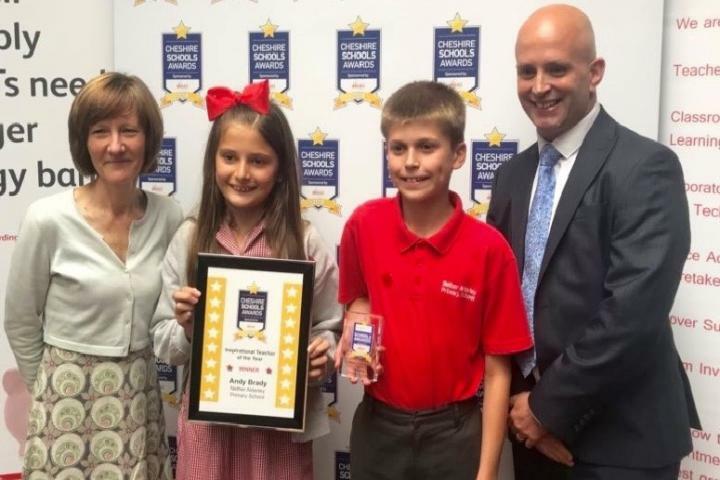 Mr, Andy Brady, a teacher at Nether Alderley Primary School, was named the Inspirational Teacher of the Year at the awards ceremony held in Chester on Tuesday, 19th June. Photo: Andy Brady at the awards presentation with learning support assistant Mrs. Brown, Head boy Jake and Head girl Phoebe. Please be aware of the below occurrences within the rural community. Red van (Vrm unknown) spotted in suspicious circumstances within the Rostherne and Tatton area of Knutsford. Theft of tractor batteries again within the rural areas. Theft of red diesel within the rural areas. Theft of fencing from within the railway line in Ashley. Please be aware of the above and report anything suspicious to 101. Please continue to report incidents. A very popular and well known member of the community sadly passed away on Monday, 25th June, at the age of 90. 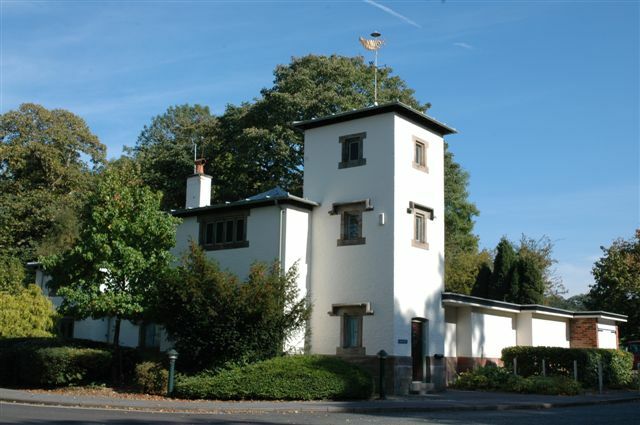 Margaret Melrose lived in Alderley Edge for 28 years. She was a councillor for 34 years, first being elected in 1967, and twice Chairman of Cheshire County Council – the first woman ever to hold the position in 1984. 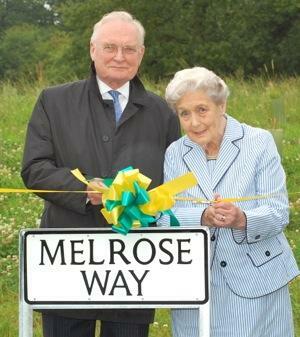 The A34 Alderley Edge and Nether Alderley Bypass was been named Melrose Way in honour of Margaret who fought tirelessly for its construction since the 1960s. Her funeral will be held at 11am on Wednesday 11th July, at St Mary’s Church in Nether Alderley and afterwards at the Parish Hall next door. – Some money has been removed from a victim’s bank account and staff at their local bank branch are responsible. – Suspects have already been arrested but the “police” need money for evidence. – A business such as a jewellers or currency exchange is operating fraudulently and they require assistance to help secure evidence. A theft of a digger, trailer and other construction equipment was stolen in Henbury this week. If you have any information then please call us on 101. Please be vigilant and report any suspicious activity on 101. 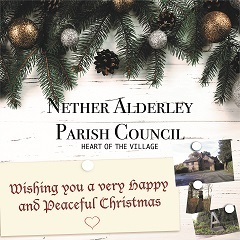 There is a vacancy for two Councillors in the Parish of Nether Alderley. An election to fill the vacancies will be held if ten electors for the said Electoral area give notice to the Returning Officer requesting such an election within 14 days (excluding Saturdays, Sundays, Christmas Eve, Christmas Day, Good Friday or a Bank Holiday) of the date of this notice. London Road will need to be closed for around two weeks to enable a sinkhole to be repaired. However, measures will be taken to ensure the May Fair parade can proceed down the centre of the village on Saturday, 19th May. 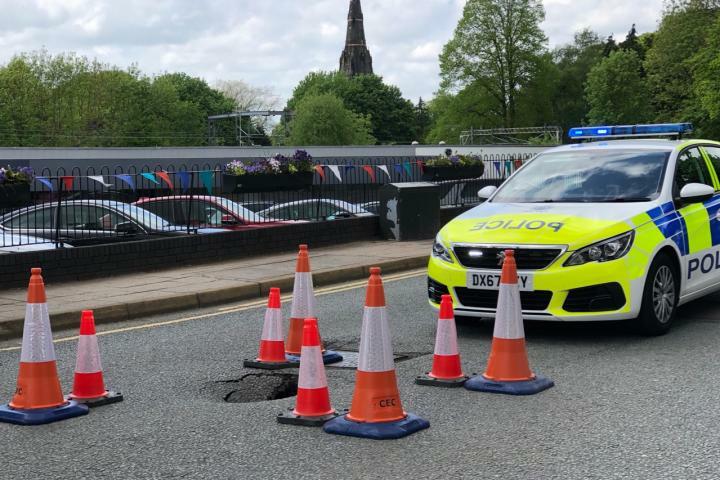 The 4ft deep hole, which opened up just outside of the Waitrose car park on Thursday, 10th May, is believed to have been caused by a collapsed sewer. However, investigations will continue over the course of the weekend. Councillor Craig Browne has spoken to Dave Wilson, United Utilities Site Manager, this morning and he confirmed that they are 99% certain that the cause is a sewer collapse. Cllr Browne said “Unfortunately, there will need to be a complete closure of London Road, in both directions, from the entrance to the Waitrose car park, back up to the junction with Heyes Lane and his initial estimate is that this road closure will need to be in place for two weeks. Detectives are urging Cheshire residents to be vigilant after an elderly woman from Runcorn and an elderly man from Chester were scammed out of large quantities of money. They both handed money to a courier for safekeeping after receiving a phone call from a man purporting to be a senior police officer. The so-called officer told them that their savings had been targeted by thieves and were not safe in their bank accounts. • If you are approached, or feel something is suspicious, hang up the phone and do not reply and then report it to police on 101 or Action Fraud on 0300 123 2040. You should also inform your bank on its advertised number. Detective Inspector Glyn Leech said: “We believe that victims are being targeted county wide by this scam, with us investigating reports of people being scammed in areas including Warrington, Chester and Macclesfield. – Official World Cup ticket vendors or private individuals attempting to sell on a match ticket via online marketplace. – A fraudulent website or operator offering non-existent flights or other transport to host cities. – An accommodation booking service, hotel or operator, offering seemingly convenient accommodation in one of the host cities for the duration of the game. – Lottery or competition organisers claiming that you’ve won a prize or cash related to the tournament. • Listen to your instincts: If something feels wrong then it is usually right to question it. Fraudsters will use the promise of steep discounts to lure you into handing over your money or revealing personal/financial details. • Clicking on links/files: Don’t be tricked into giving a fraudster access to your personal or financial details, and never automatically click on a link in an unexpected email or text. • Visit the Action Fraud website and take a look at their Ticket Fraud, Holiday Fraud and Lottery Fraud advice pages before making any decisions or bookings. 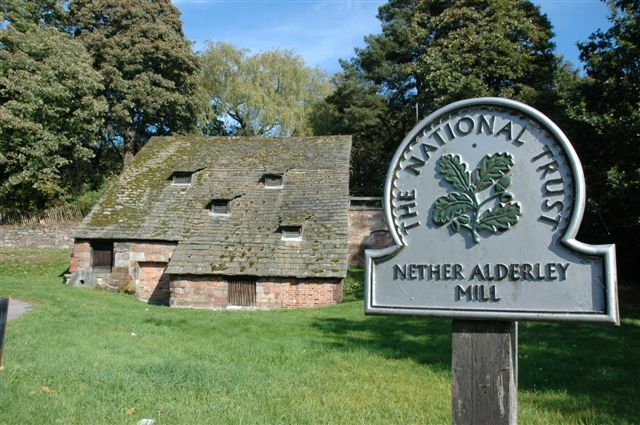 Nether Alderley Maintenance and Pride decided to litter pick individually during the summer months as their weekends are already booked up! The volunteers will also be noting and reporting issues that need rectifying by Cheshire East Council. They are concerned that the charge of £3.50 per bag to take rubble to the tip may result in an increase in fly tipping. Their next meeting will be on 18th October at 7.30 p.m. Please contact Anne on 01625 582514 if you would like to join the group. • Don’t assume it’s authentic: Professional-looking websites, adverts or social media posts don’t indicate that an investment opportunity is genuine. Criminals can exploit the names of well-known brands or individuals to make their scams appear legitimate. • Don’t be rushed or pressured into making a decision: A genuine bank or financial organisation won’t force you to make a financial transaction on the spot. Always be wary if you’re pressured to invest quickly or promised returns that sound too good to be true. • Stay in control: Avoid unsolicited investment offers, especially those over cold calls. If you’re thinking about making an investment, get impartial advice from an independent financial adviser – never use an adviser from the company that contacted you, as this may be part of the scam. 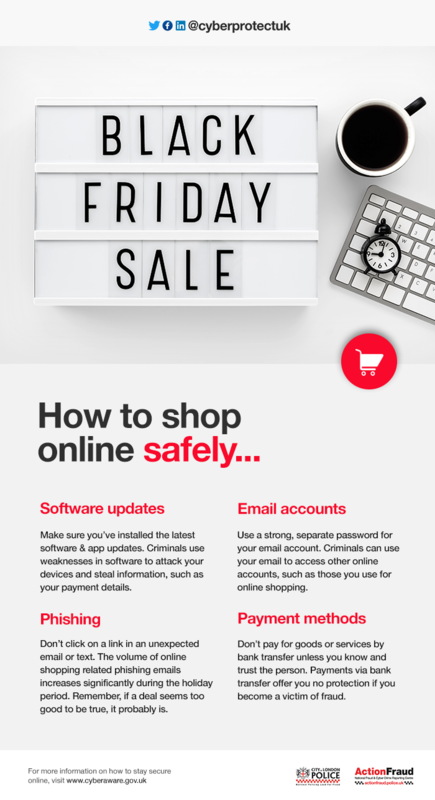 • Visit Take Five (takefive-stopfraud.org.uk/advice/) and Cyber Aware (cyberaware.gov.uk) for more information about how to protect yourself online. 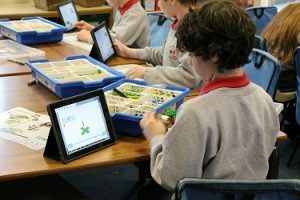 Nether Alderley Primary School PTA launched an appeal to raise enough money to buy a class set of Lego ‘WeDo’ kits, providing pupils the opportunity to design, build and code their own products which would enable them to meet the demands of the design/technology/computing curriculum. 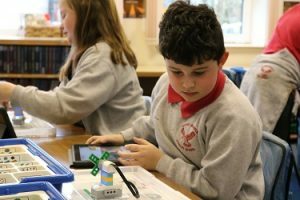 The school’s PTA soon reached its provisional target of purchasing ten kits which would enable 20 pupils to work on a project at the same time. The Parish Council is delighted to report that they were able to donate the equivalent of two further kits which would provide a spare kit for the class and an additional kit which would be used by the teacher for demonstration. Nether Alderley Parish Council continues to receive regular complaints from residents of deep and dangerous pot holes which cause damage to vehicles and which could essentially endanger lives. 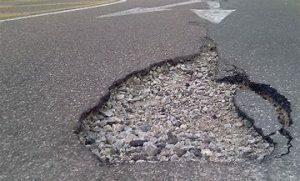 Councillors noted that remedial repairs to potholes are temporary and often ineffective as they reappear within weeks. Following the Parish Council meeting in March a formal complaint was made to Cheshire East Highways. The Chairman, Cllr. 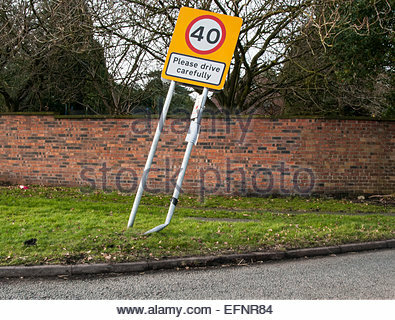 Jenny Shufflebottom, has invited John Tickle (Senior Highways Officer) on a site visit to Nether Alderley to highlight the problems local residents are having to cope with. Councillor George Walton (Ward Councillor) will also attend the meeting. Please note, ‘Fix My Street’ app. provides a written and photograph template to record potholes which then passes the problem directly to the correct department at Cheshire East Highways Department. They are duty-bound to log and respond to any reports made. 3. 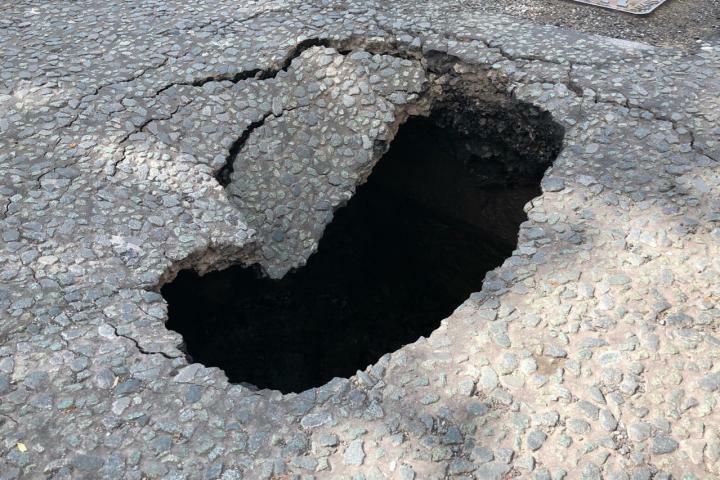 April, 2018Latest NewsComments Off on Potholes in Nether Alderley! As passenger numbers have grown, we have increasingly experienced major congestion problems on our Terminal forecourts, made worse by a high percentage of visitors repeatedly recirculating at peak times. Although we have invested in various programmes to increase capacity, as much as possible, we are limited by security issues that restrict how close vehicles can get to the Terminal front. The simple fact is our forecourts were not designed to handle the number of vehicles they do today and do not have the capacity to cope with any further growth in the number of people being dropped-off immediately outside our terminals. We are therefore investing in a dedicated drop-off site, from where a free shuttle service will operate to all three terminals. It is hoped this will contribute to a major reduction in the number of individual vehicles trying to access the most congested parts of our campus. In parallel, an Express Drop-off charge will be introduced in the areas directly outside our three terminals and Ground Transport Interchange, like those already in place at almost all other UK airports. As part of these efforts to reduce on-site congestion, we are creating a brand new Public Transport Development Fund, overseen by newly-formed body made up of representatives from the Greater Manchester Combined Authority, Cheshire East Council and Transport for Greater Manchester. It will work to identify and support initiatives that will improve access to Manchester Airport for passengers and colleagues. From June if you are looking to drop off or be dropped off at Manchester Airport; this will be possible free of charge at our drop off point or you can choose to pay £3 for five minutes (£4 for ten) to be dropped off outside the Terminal front. We believe that these changes will free our site from the congestion experienced in recent years and so facilitate smoother journeys for all users. Neighbourhood Watch isn’t just about preventing crime – we’re a movement with neighbourliness at our heart and with this cold weather dug in we wanted to send a friendly request to our supporters to check on any elderly or vulnerable neighbours if you can. Many people are waiting out the weather at home and some won’t have been able to get out for several days now so a friendly knock from a neighbour is welcome. Maybe they need a pint of milk or a can of beans to get them through to the thaw, or a path swept or their dog walked? Of course your safety is important too – so please think about that and only venture out if you can do so safely. Thanks to all our supporters for your neighbourliness and all that you do – in good weather and bad – for your communities. 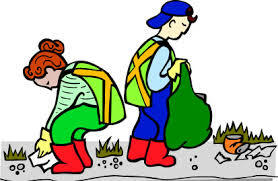 DUE TO THE WEATHER CONDITIONS THE LITTER PICK WAS CANCELLED – Please note, future dates will be posted on the website and in the notice boards when they have been confirmed. Saturday 3rd March from 11.00 a.m. to 1.00 p.m. Some volunteers will be going on to the Wizard pub for lunch afterwards and new volunteers are very welcome. Please wear suitable clothing. Rubbish bags will be available and litter picking tools. In the past couple of weeks I just wanted to update you with a few matters we have dealt with. Off road motor vehicles have been highlighted as an ongoing issue in locations where they are not authorised i.e. private land, farm land and protected sites and we are targeting those who choose to ride on these locations. We are not encompassing those who legally ride the authorised routes and we encourage those who do, to continue and enjoy the routes to ensure they remain open. We have had plenty of feedback and meetings from off road organisations encouraging our enforcement, to tackle the few who give legitimate rider/drivers a bad name. Therefore we have recently had covert off road motorcycles enforcing in the rural areas, and motorcycle seizures have taken place, where offences have been established. Patrols have been upped in known locations and evidence gathering commenced. From this seven offenders were arrested and accompanying motorcycles seized in an operation in Grimsby, Humberside. This goes to show people will travel far and wide to our area, but all goes to show we in turn will travel to them if they commit offences in our area. We have had some successful court cases recently under the Deer Act and Daytime Poaching. This has all primarily been assisted by You the public reporting suspicious incidents. So thank you, keep reporting to Police. Vehicles have been seized/ removed off the roads that are linked to hare coursing and poaching offences. Suspicious vehicles entering the Farms we still want to know about, we have recently successfully linked incidents and enquiries are ongoing to highlighted individuals. Operation Lambswool has been begun reducing livestock attacks and thefts. We have teamed up with Cheshire East Council and Peak District National Park to promote and enforce the issue. We have produced a small number of signs and leaflets should people require. A recent report of a livestock attack was investigated and positively resulted. • Pay safe: Be cautious if you’re asked to pay directly into a private individual’s bank account. Paying by direct bank transfer is like paying by cash – the money is very difficult to trace and is not refundable. Wherever possible, pay by credit card or a debit card. • Conduct research on any company you’re considering purchasing tickets from; for example, are there any negative reviews or forum posts by previous customers online? Don’t just rely on one review – do a thorough online search to check the company’s credentials. • Check any company website thoroughly; does it look professional? Are there any spelling mistakes or irregularities? There should be a valid landline phone number and a full postal address so that the company can be contacted. Avoid using the site if there is only a PO Box address and mobile phone number, as it could be difficult to get in touch after you buy tickets. PO Box addresses and mobile phone numbers are easy to change and difficult to trace. • Be aware that purchasing tickets from a third party, particularly when initial contact has been made via a social media platform can be incredibly risky. • If tickets to your intended destination appear cheaper than any other vendor, always consider this; if it looks too good to be true, it probably is! • Look for the logo: Check whether the company is a member of a recognised trade body such as ABTA or ATOL. You can verify membership of ABTA online, at www.abta.com. 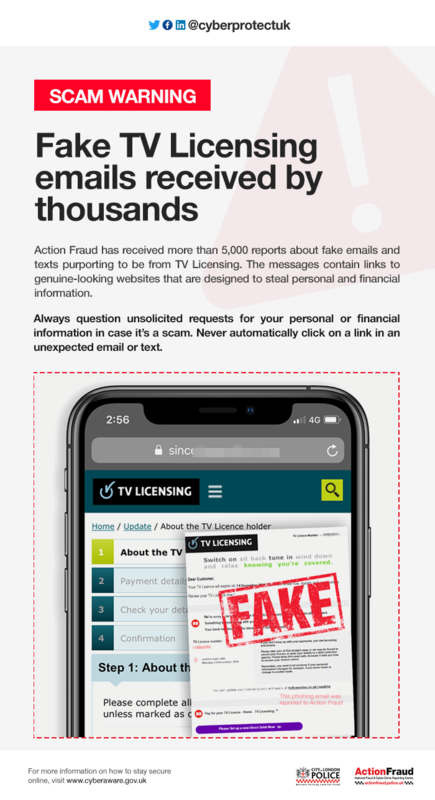 • If you have been affected by this, or any other type of fraud, report it to Action Fraud by calling 0300 123 2040, or visiting www.actionfraud.police.uk. • Make vigorous checks if you ever get a cold call. Bailiffs for example, should always be able to provide you with a case number and warrant number, along with their name and the court they are calling from; make a note of all details provided to you. • If you receive a visit from a bailiff, they must always identify themselves as a Court Bailiff at the earliest possible opportunity. Ask to see their identity card which they must carry to prove who they are, this card shows their photograph and identity number. They will also carry the physical warrant showing the debt and endorsed with a court seal. • If you work for a business and receive a call or visit, be sure to speak with your manager or business owner first. Never pay the debts yourself on behalf of the business you work for; some fraudsters have suggested employees make payment suggesting they can then be reimbursed by their employer when in reality the debt is non-existent. • Exercise caution believing someone is genuine because you’ve found something on the internet; fraudsters could easily create fake online profiles to make you believe them. • Double check with the court, company or public body they claim to work for to confirm whether the call is legitimate; if you use a landline make sure you hear the dialling tone prior to dialling as the caller could still be on the line and you could potentially speak to the fraudster(s) to confirm the non-existent debt. Also be sure to independently search for a telephone number to call; never use a number provided by the caller without carrying out your own research. • Do not feel rushed or intimidated to make a decision based on a phone call. Take five and listen to your instincts. • If you know you have a debt, keep in regular contact with your creditor and be sure to establish the debt type at the earliest opportunity if you are not aware. This will help you to understand who might be in contact with you regarding any repayments or arrears. On Saturday 13th January, 11 volunteers met to undertake a litter pick. They covered Artists Lane, Bradford Lane, Sand Lane, Soss Moss Lane, Chelford Road, Nursery Lane and the Congleton Road. Thirteen bags of litter were collected. As always the most densely littered road was Congleton Road particularly the part that is the A34. In addition, another volunteer had done a litter pick on Welsh Row the previous day. We were surprised by the amount of litter as the last litter pick was only two months previously. The most amusing find was a Captain America toy found face down in a ditch. The weather was very kind to us and we all had an enjoyable time taking in the fresh air! After the litter pick, eight of us went to the Wizard where we had a very chatty lunch. We were told that in future we would get a discount which was very welcome news! Our next litter pick will be on Saturday 3rd March which is during the national litter picking weekend. New volunteers are always welcome but please phone Anne on 01625 582514 so that we know to expect you. Cheshire Police is warning residents across the county not to fall foul of Courier Fraud following reports in Crewe, Nantwich and Chester. Courier fraud is when the offender cold calls the victim posing as an official such as a police officer or a member of a banks fraud team. They will instruct the victim to go to their bank and withdraw money. The offender will claim that they are investigating staff at the bank that they need the victim’s help in some kind of undercover operation, for example they may claim that bank staff are handing out counterfeit bank notes and they need the victim to withdraw money so that it can be examined. The offender will then send a courier to collect the money from the victim. There are many variations of this scam, which may involve the victim handing over bank cards or high value items. In one recent incident, a Crewe elderly couple were contacted by an offender posing as a Greater Manchester Police Officer. He told the victims that people had been accessing their bank account using blank cards and instructed them to withdraw money which was to be handed to a courier using a password system. If you have any information please contact DC Liz Rankin from Crewe CID on 101 quoting incident number 516 of 4 January 2018. Alternatively information can be given anonymously by contacting Crimestoppers on 0800 555 111. – The police will never ask you to become part of an undercover investigation or for you to withdraw cash and hand it to them for safe-keeping. – If you are approached, or feel something is suspicious, hang up the phone and don’t reply. – Then report it to police on 101, Action Fraud and your bank on their advertised number. Visit www.takefive-stopfraud.org.uk for more advice on how to stay safe from scams. Saturday 13th January from 11.00 a.m. to 1.00 p.m. 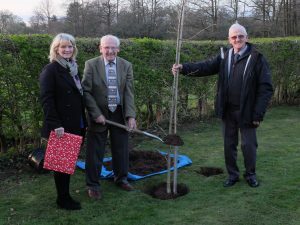 Volunteers are urging people to support our local hospice and make every tree count this Christmas. The 18th annual Christmas Tree Collection will take place on the weekend of Saturday 13th and Sunday 14th January when an army of volunteers will be collecting your pre-booked trees. In January 2017, the Christmas Tree Collection raised over £114,000 to help East Cheshire Hospice meet its fundraising need for £7,500 per day to cover running costs. This broke the previous record of £102,000. Over 7000 individual collections were made using 40 vehicles. 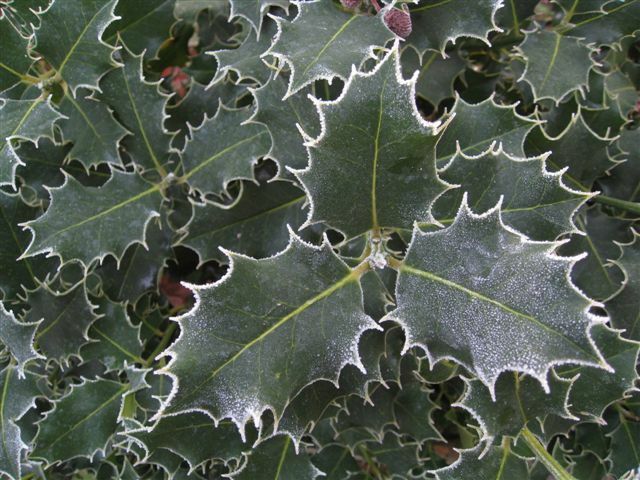 The collection was staffed by more than 300 volunteers and resulted in over 72 tonnes of trees being recycled. 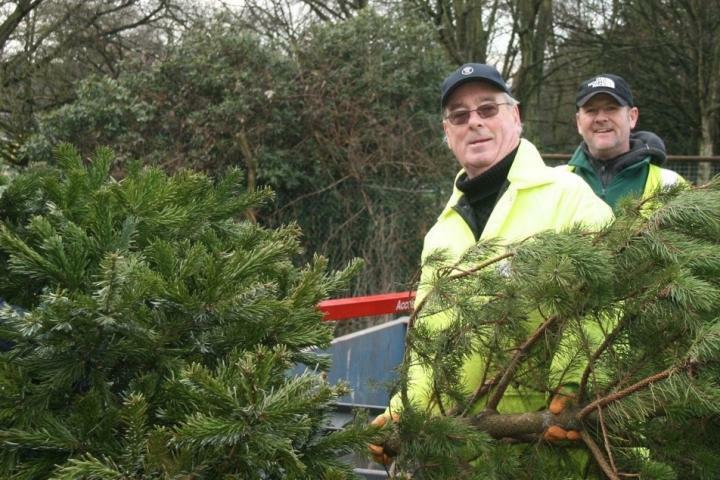 The East Cheshire Hospice Christmas Tree Collection, which was awarded a Queen’s Award for Voluntary Service last year, is believed to be the world’s largest, volunteer led, Christmas Tree Collection and Recycling Scheme. 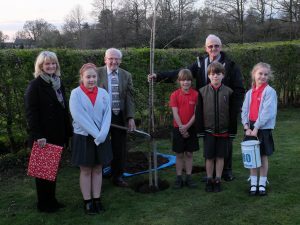 Since 2001 nearly £800,000 has been donated to East Cheshire Hospice by supporters of the Christmas Tree Collection. New for this year, you can now donate online when registering your tree, which organisers say is a big help for their administration. However, if you wish to place your donation on the tree, as in previous years, this is still possible. Register here to leave your donation on the tree. If you’re not having a real tree this year but wish to support the collection in this the Hospice’s 30th anniversary year, click here. The closing date for collection requests is midnight on Wednesday 10th January. There is no minimum donation but volunteers request that you please give generously to support the Hospice, its patients and their families. Some of you may be aware that there is a current scam circulating, for those who don’t, please read on. As always let me know of any that you believe we should know about. Thanks Ric. The purpose of this alert is to provide knowledge and prevention advice to farmers in order to protect themselves from falling victim to ‘Payment Diversion Fraud’. CAP (Common Agricultural Policy) payments are expected to be paid to farmers in December 2017. Information on last year’s payments are easily obtained via the government website allowing fraudsters to know when and how much potential targets will receive. Fraudsters who purport to be a trusted senior colleague or established customer may request that you change their direct debit, standing order or amend a bank transfer so that the payment can be diverted to a bank account which is in control of the fraudster. Fraudsters will often make the request under the pretence of a highly sensitive or urgent transaction. Contact is made via phone, letter but most commonly via email (personal or work address) used by the organisation or employee (which has either been spoofed or hacked). The fraudster then provides bank account details into which the monies should be paid. • Ensure all staff, not just finance teams are aware of this fraud. • Always verify email payment changes to financial agreements with the organisation directly using established contact details you have on file. If called ask the caller to give you a main switchboard number for you to be routed back to them. Alternatively, hang up and call them back using established contact details you have on file. • Have a system in place which allows staff to properly verify contact from their CEO or senior members of staff; for example having two points of contact so that the staff can check that the instruction which they have received from their CEO is legitimate. • Always review requests to change ‘one off’ payment requests. Check for inconsistencies or grammatical errors, such as a misspelt company name or a slightly different email address. Ensure computer systems are secure and that antivirus software is up to date. A suspect was interviewed last night in regards to an incident of sheep worrying at Macclesfield Forest. This highlights that such cases are taken seriously and where evidence is available we will investigate. Information and evidence provided by the public assisted in identifying the offender(s), THANK YOU. Please keep the information coming, you are our eyes and ears. Rural and Wildlife Officer – Macclesfield Police Station. In brief what has happened in the month of November. We had a very good Bonfire night with reports of anti-social behaviour down on the previous year. Officers have made arrests with one male arrested in connection with 6 thefts an incident of fraud and various driving offences. Op Legionnaire, the road traffic operation, closed with 17 prosecutions, 4 arrests and 6 vehicle seizures making our roads a safer place. One male was sentenced to 200 hours for a racially aggravated public order offence and we are continuing to explore and build a picture of drug related activity in the Knutsford area. We have also been involved with our partners Trading Standards on a joint OP to tackle Rogue Traders that have been operating in Knutsford. December will prove equally as busy with the Christmas period which will involve hi-vis patrols of the town centre and working with local pubs to make sure Christmas celebrations go smoothly. 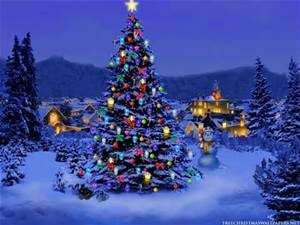 May I take this opportunity to wish you all a Happy Christmas from us all at Knutsford. 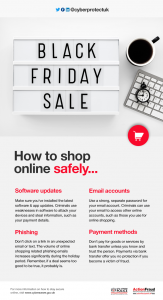 Remember to check Cheshire police’s website for any further information you may require, or alternatively pop into our station which is open Monday to Friday 9am till 5pm. 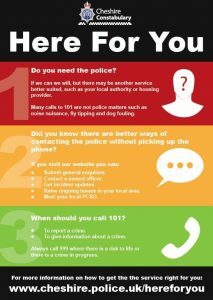 If you need to report anything please call 101 or 999 in an emergency. The Pride of Nether Alderley had a successful litter pick on Saturday morning. The weather was very kind to the eight volunteers who picked up litter along Congleton Road, Sand Lane, Welsh Row, Soss Moss Lane, Chelford Road and Nursery Lane. In all eight very heavy bags of litter were collected; mainly bottles, cans and food wrappings but two of the volunteers found used nappies. Afterwards five of the volunteers went to The Wizard for drinks and food. The next litter pick will be on Saturday 13th January 2018 when hopefully much of the undergrowth will have died down. New volunteers are very welcome! If you have a couple of hours to spare and you would like to join us we meet at the Church carpark.